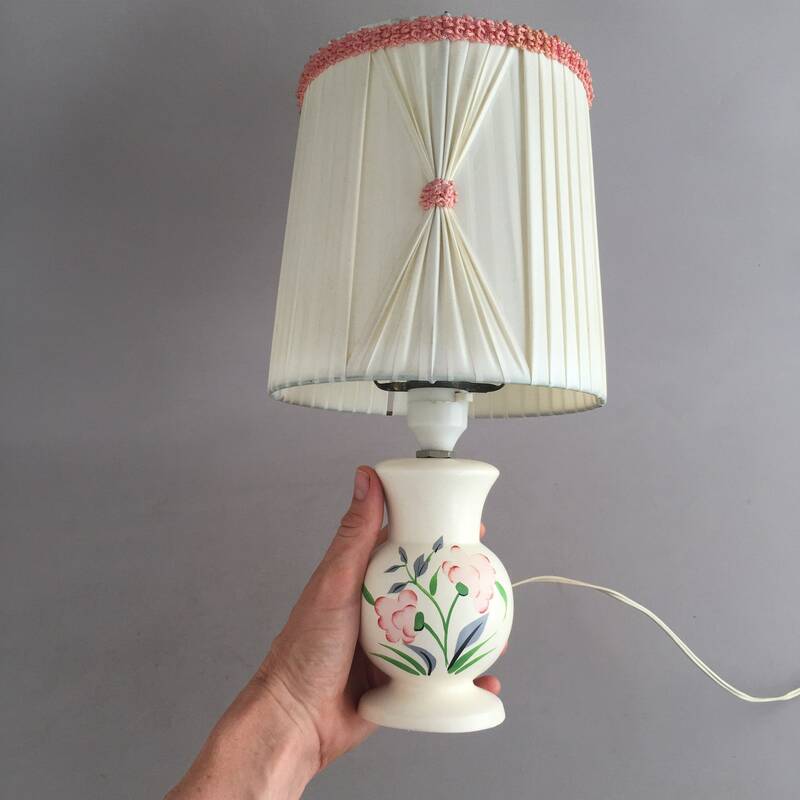 The sweetest little lamp measuring just 34 cm tall ( base and shade ) by 16 cm. 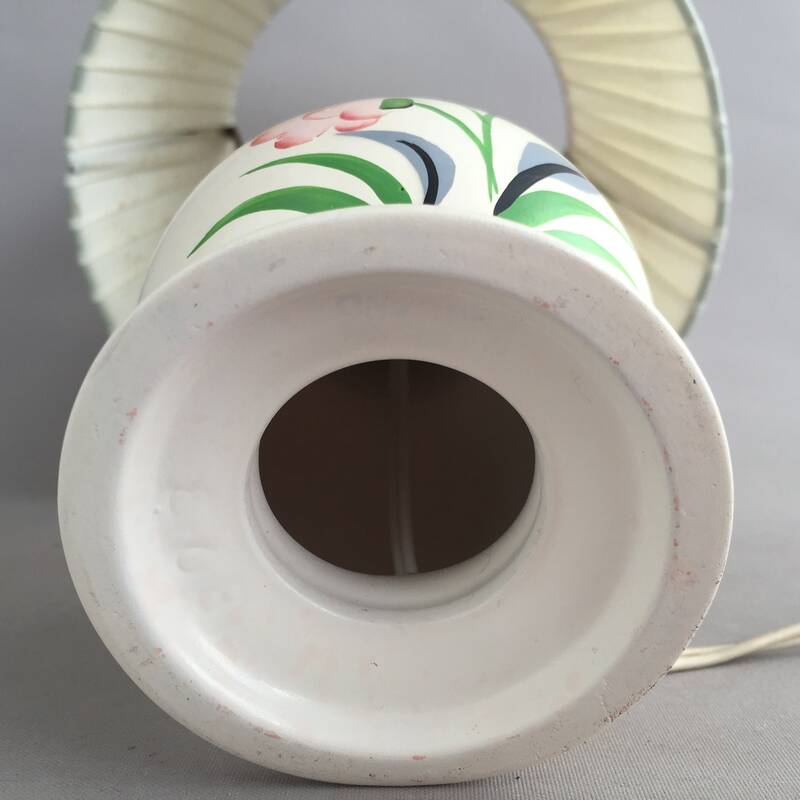 The Dinky base is ceramic with a floral hand painted motif . 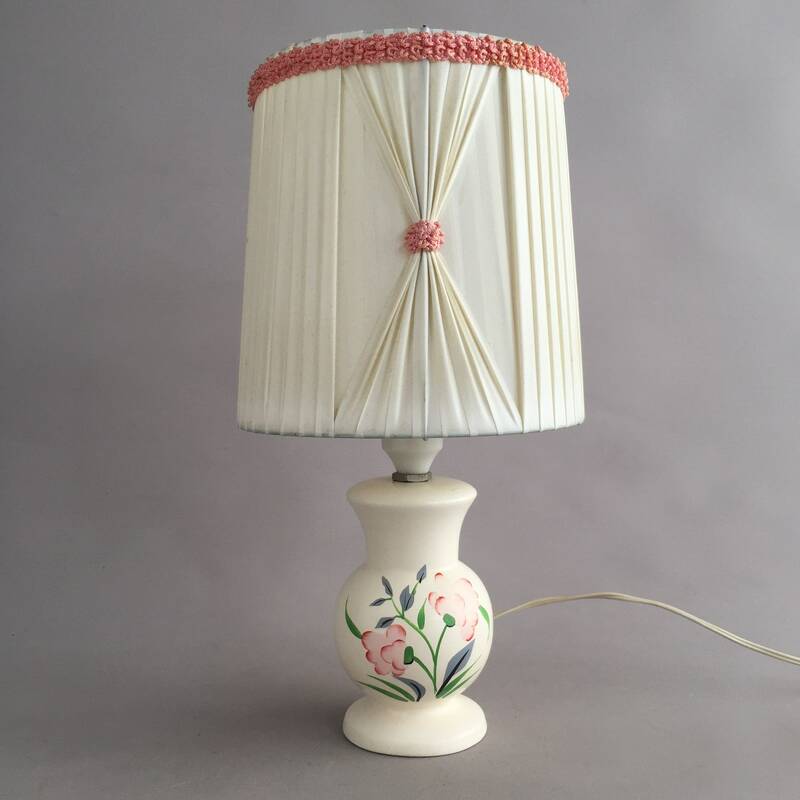 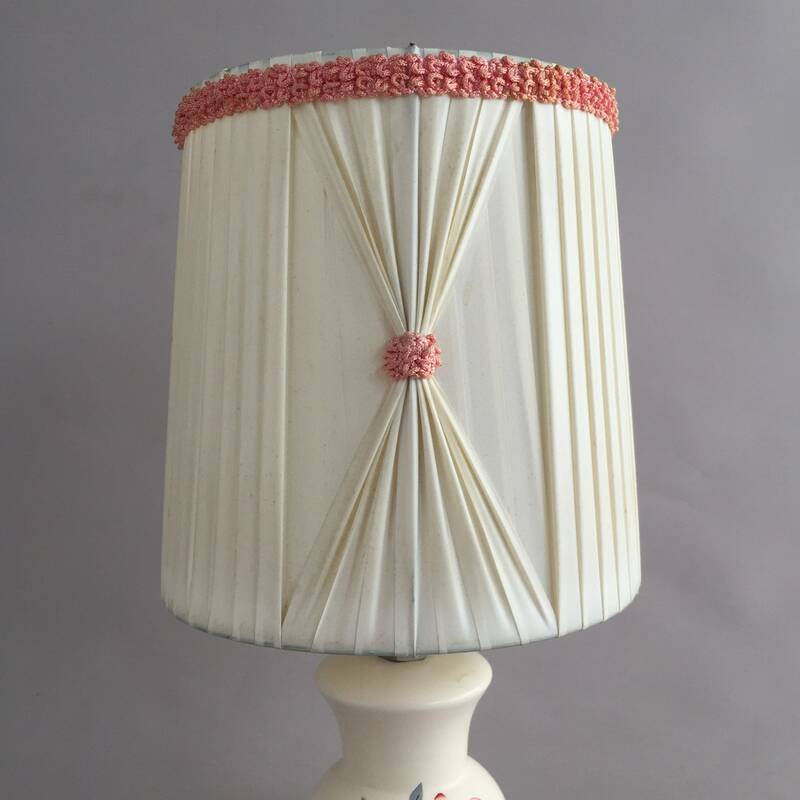 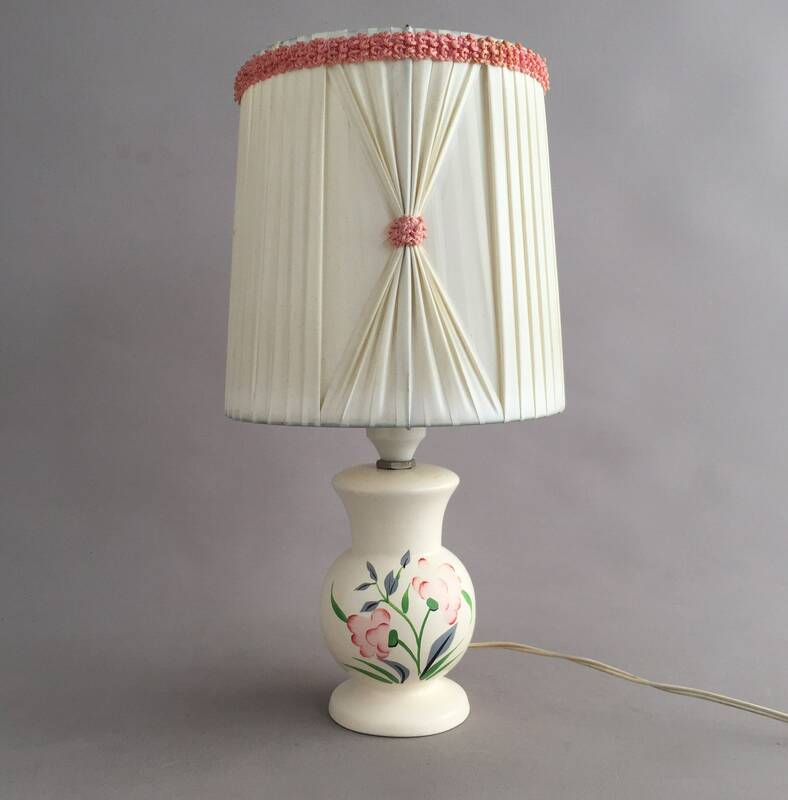 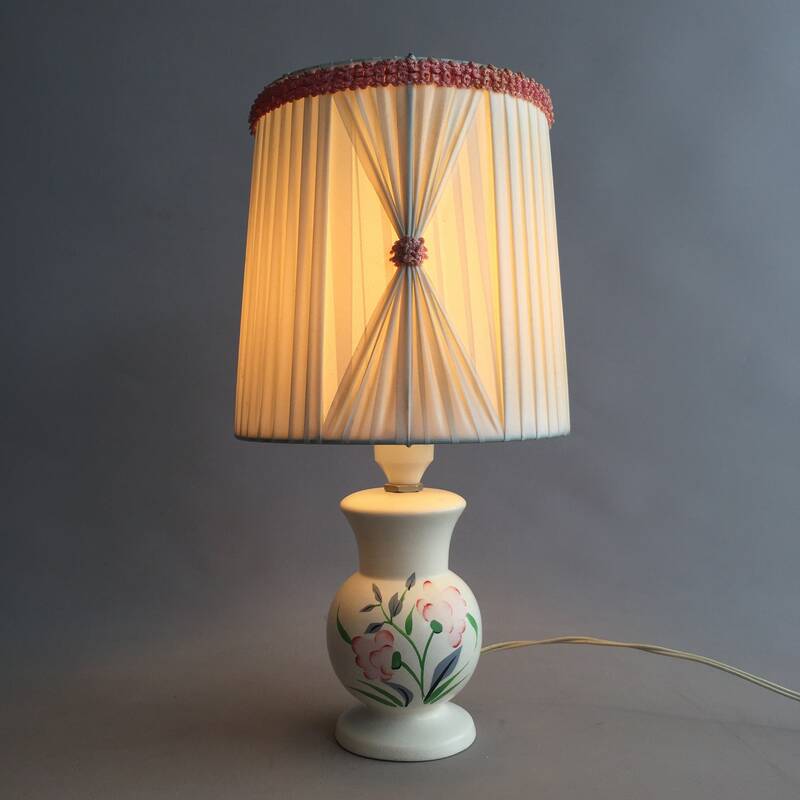 The shade is original vintage made from a plastic type tape woven round the metal frame, with a little pink textile trim, wired and working with a U.K plug. 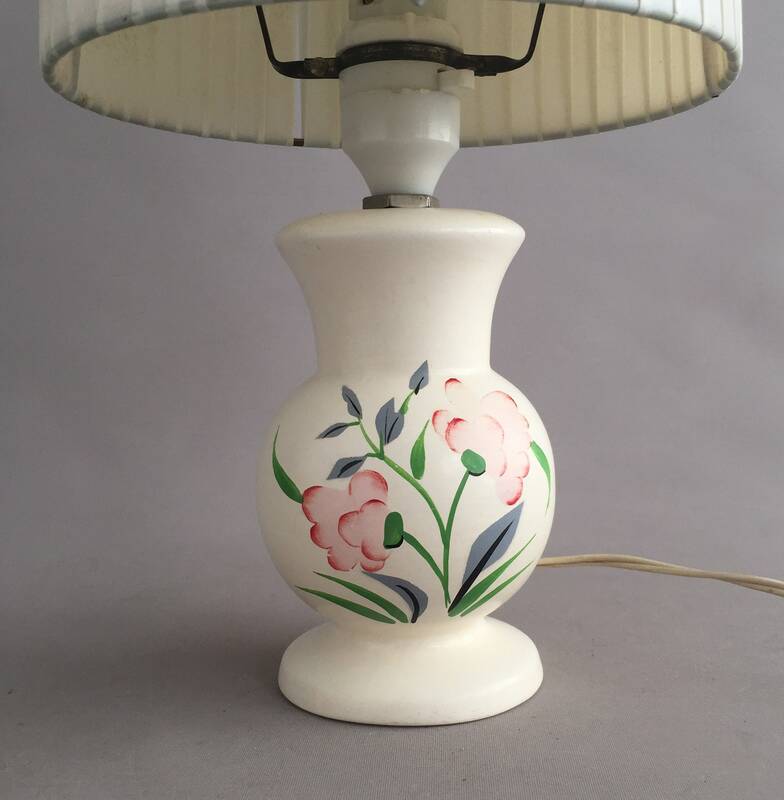 the switch is below the bulb.